The use of alternative shoreline protection methods or living shor elines is growing throughout the coastal area of the Gulf of Mexico and in particular in Mississippi and Alabama. Scientists and restoration practitioners from Grand Bay NERR, Weeks Bay NERR, Gulf of Mexico Foundation, University of South Alabama, Mobile Bay National Estuary Program, Dauphin Island Sea Lab, and Baldwin County Soil and Water Conservation District secured funds from the Gulf of Mexico Alliance Habitat Resources Team to create an educational guidebook. This guidebook, Living_Shorelines_Guide_for_Contractors_in_AL-MS, helps contractors and their clients make better decisions on the use of alternative shoreline protection techniques. The guidebook contains a list of factors contractors need to consider to increase successful installation of shoreline protection techniques. For additional information or a printed copy, contact Mike Shelton at mike.shelton@dcnr.alabama.gov. 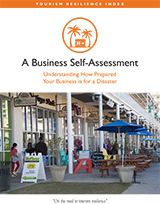 This book was developed as a project of the Gulf of Mexico Alliance (GOMA) in partnership with federal, state, and local organizations that share a vision for healthy and resilient communities. One key priority of GOMA is to increase the resiliency of coastal communities from natural hazards. One major component of healthy communities is enhancing individual resilience and recognizing that adjustments to day-to-day living are necessary. 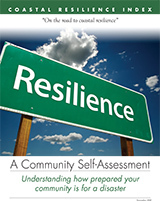 This book is designed to promote individual resilience; thereby creating a fortified community. You can download the handbook here. The Coastal Community Resilience Index (CRI) is a tool communities can use to examine how prepared they are for storms and storm recovery. To complete the index, community leaders get together and use the tool to guide discussion about their community’s resilience to coastal hazards. It is a simple, inexpensive method to identify weaknesses a community may want to address prior to the next hazard event. 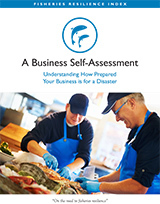 The Fisheries Resilience Index (FRI) is a self-assessment tool developed for fishery industry leaders and bu sinesses. It serves as a simple and inexpensive method of predicting if individual fishing businesses and the regional fisheries industry are prepared to maintain operations during and after disasters. Completing the Fisheries Resilience Index will assist the fishing industry in developing actions for long-term resilience. The Ports Resilience Index (PRI) is a self-assessment tool developed for Port and marine industry leaders. 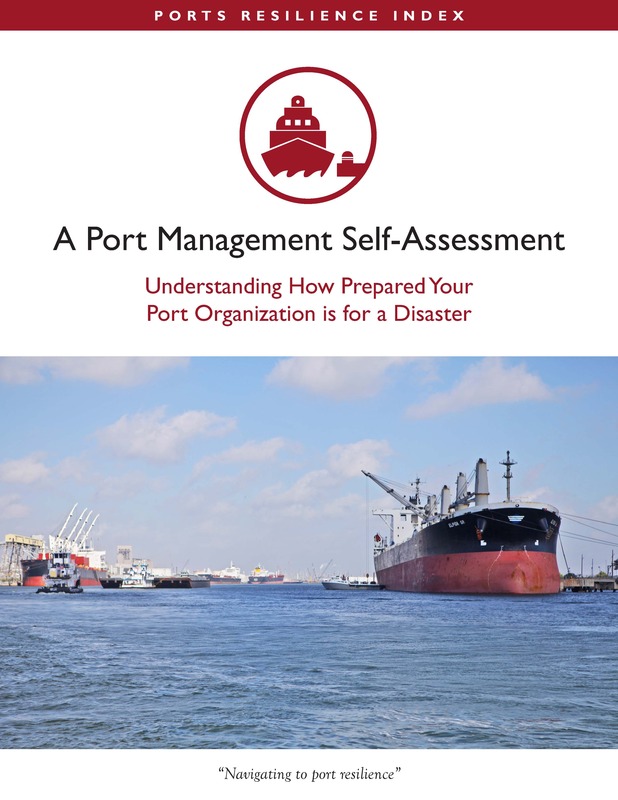 It serves as a simple and inexpensive method of assessing if Ports and the regional marine transportation sector are prepared to maintain operations during and after disasters. Completing the Ports Resilience Index will assist Ports and marine industry leaders in developing actions for long-term resilience. Coastal CHARM, a new mapping tool that uses an electronic table top and Wii game technology, enables everyday citizens and local officials to create coastal planning scenarios that are complex and dynamic with results that are instantaneous to start conversations about smart municipal planning and development. It gives local officials, stakeholders, and citizens the power to map and analyze growth with real-time feedback. When used with the weTable, it forms a powerful planning tool for engaging the public and gathering their values about the community’s future. Visit the GOMA Resilience Team website for many other resources and tools, including homeowner handbooks in each of the five Gulf States to help prepare for natural hazards to reduce risks to family and property, StormSmart Coasts to connect coastal professionals to find and share information on weather and climate hazards, and the Clean and Resilient Marinas Initiative to promote and expand resilient and environmentally responsible operations and best management practices at marinas in the Gulf region. NOAA Digital Coast includes interactive and locally-relevant tools like the Flood Exposure Mapper and Sea Level Rise Viewer. A wide range of classroom training includes Green Infrastructure, Adaptation Planning, Managing Visitor Use, and Planning and Facilitating Collaborative Meetings. You will also find useful case studies, publications, quick references, self-guided resources, videos, webinars and online courses. The Blue Carbon Calculator, developed by the Massachusetts Division of Ecological Restoration, is a tool that can be used for quantifying greenhouse gas emissions of restored aquatic ecosystems. Information for how to use the calculator and links to download can be found at http://www.mass.gov/eea/agencies/dfg/der/about-us/blue-carbon-calculator.html.